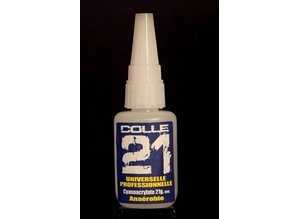 COLLE 21 is an ANAEROBIC glue, It works with pressure, which gives you the time to correctly position your assemblies. Assembly without the pressure of 2 surfaces. The pressure made (15 to 45 seconds) will guarantee a strong and precise adhesion. 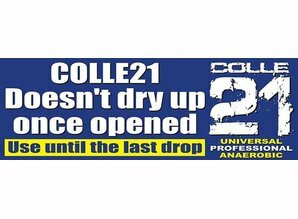 COLLE 21 does not dry after opening and you can use it until the last drop. Resistant to water, shock, and vibration. Fast setting after pressure from 10 to 15 seconds.